Franktown Colorado has some of the finest luxury country homes and horse property listings in south metro Denver. Some of these fine homes will be off the Russelville Road and other hidden pockets of secluded horse acreage. The community of Franktown Colorado is a cross roads community at the intersection of state highways 83 & 86 and is very small and intimate just south of Parker on the old highway to Colorado Springs. While Franktown has never held a highly important role in Colorado it was the first county seat of Douglas county in 1861-1863. It is now more known as a town for motorcyclists to take a break from the hot sun on a pleasant afternoon ride. Many horse properties surround the town and the towns of Parker, Franktown, Elizabeth and Kiowa seem to all fall in the same area of Denver. The Douglas County School system has received national attention in its quest to be a leader in school reform, and according to its mission statement is “reinventing American education for the future”. One finds however that the majority of the front range communities that are part of Denver are a diverse mix of public systems, charter schools, and private/parochial schools. Charter schools are considered public and will be included in the district listings. Please see the more school connections link for private, charter and home schooling options. Attendance boundaries change often. The property address will determine school attendance. It is best to check with the district for accurate information. First a wiki link to this unincorporated town’s history is about all there is. Franktown is its own location but most folks know it as a southern suburb of PARKER Colorado. Fine homes will be located off the Russelville Road and where there are deeply secluded estate properties. Many are horse properties, luxury homes, estates, and acreages. 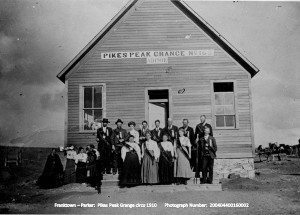 PARKER Colorado: The little cow town south and east of Denver on the Smoky Hill Road has grown into a wonderful community. They strive to maintain the western flare and host Parker Days every summer. The Elizabeth Stampede is also a great rodeo event close to Franktown. In Franktown, due to its size, population, and town status residents take advantage of opportunities for recreation throughout the area, a lot of which Colorado is famous for including many horse clubs. The rest may be local golf, flag football or softball teams, walking and jogging path maps, or even recreation centers provided for residents.